When touring musicals come to Playhouse Square, the actors are traveling from city to city. 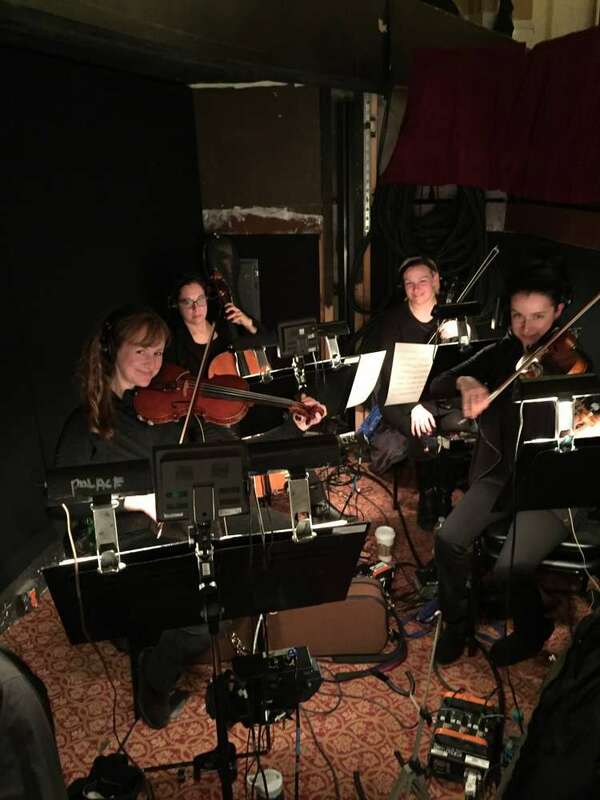 But often times, the musicians who accompany the cast are from Northeast Ohio. So how do they get hired? A contractor employed by the local musicians union and Playhouse Square receives the list of musicals that are coming to town. He or she then contacts the individual shows to determine the specific needs for each musical. The contractor then selects the musicians from a proven core of players who are experienced at playing shows. For years, Cleveland trumpeter Joe Miller desperately wanted to get himself into that mix of musicians. Finally in 1997, Miller’s phone rang. Then came rehearsal, which was an experience Miller said he would never forget. Miller passed the test and eventually became Playhouse Square’s lead trumpeter, a chair which he’s held for nearly two decades. Playing in the pit is a demanding job. The musicians receive the music anywhere between two to six weeks before show opens. They are expected to play it flawlessly when they come to the one and only rehearsal they have with the conductor. 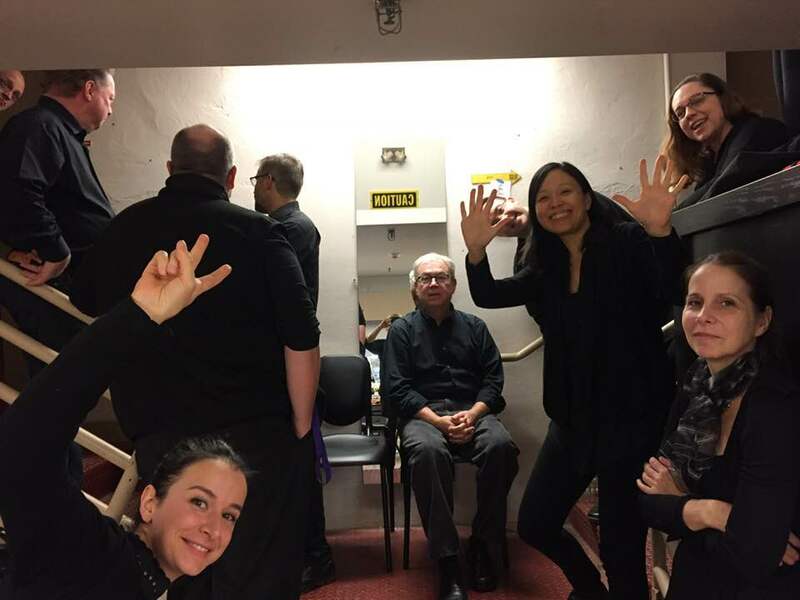 “If you are wandering around Playhouse Square on a Tuesday when a show is opening, we’ll be sitting in the lobby going through the entire show with the conductor. We’ll run through the show once and then go sit in the pit where they check levels, so we get a two-hour sound check with the cast. (The time with the cast) isn’t really a rehearsal, it’s a more of run-through so that the sound people can set levels. We then have an hour off and the curtain goes up,” Miller said. Miller learned quickly about the need to ready for whatever might ever come his way in the pit. “The first time I played “West Side Story” I was contracted to play second trumpet. I had heard a lot of stories about the conductor and they weren’t good stories, they were scary ones. I played the rehearsal, then came back to the theater. 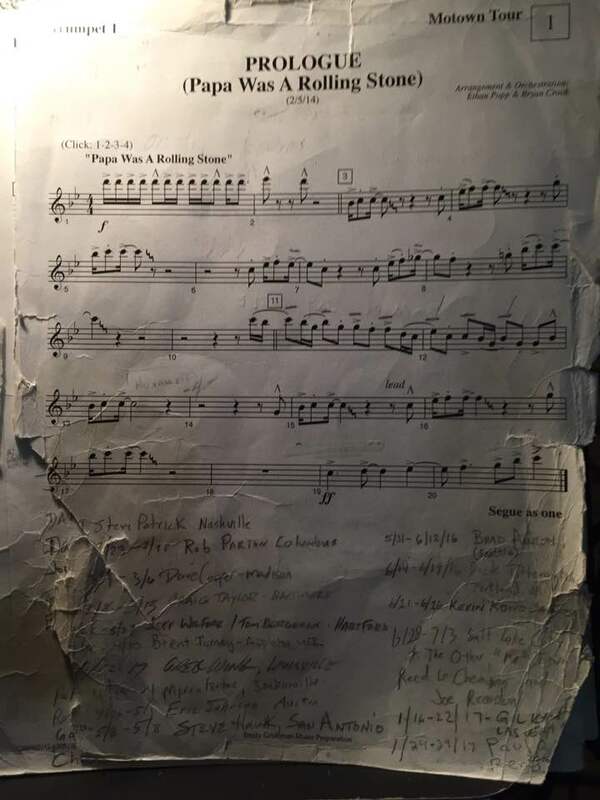 The conductor met me at the door saying ‘the lead trumpet player is sick, so you are playing lead.’ This is opening night on a show I had never played, and I think this was the second show I ever played. My heart was in my throat. I didn’t have the right equipment because the book for the lead trumpeter in “West Side Story” demands a piccolo trumpet. I didn’t have that with me, so I played the whole show on B-Flat (trumpet.) I did the best I could,” he said. Miller said what happened next surprised his bandmates. “At the end of the night, the conductor shook my hand. I thought, ‘big deal, he shook my hand.’ Everyone in the orchestra on the way out of the theater was saying, ‘Oh my God! He shook your hand. He never shakes anybody’s hand.’ I didn’t realize it at the time, but it kind of iced my position that let the contractor know he could rely on me because I was adaptable,” he said. Being versatile has also been a big help to Miller. “When I started playing shows, I was mostly a jazz, R&B and rock player, so I was ready to change gears. That’s one of the things we have to be ready to do, because one show might have a lot of styles, like “Wicked.” There is a ton of different styles. I have to play quiet classical music for fifteen to twenty minutes and then play super high notes and scream. Being a jazz player has helped, especially if you play modern jazz, because you are schooled in all the other styles. You can swing, you know how to play some Latin styles and straight ahead styles and straight eighth notes. All those stuff come into play for every show. That’s what I like about it, you aren’t one thing all night long,” he said. If you think the musicians who accompany the musicals that come to @playhousesquare spend a week rehearsing w the cast- think again! @josephhmiller shred stories from life in the pit!